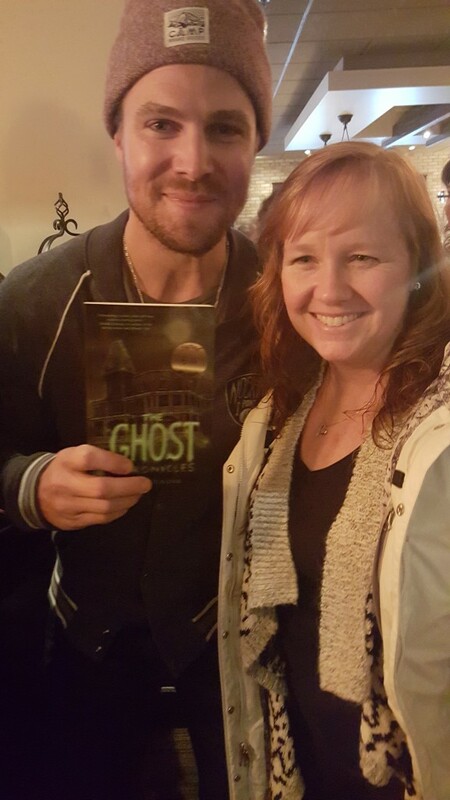 Giving away my book, signed by Stephen Amell! So a funny thing happened on the way to Heroes and Villains Fanfest (#HVFF) back in January…a blizzard. And not just any blizzard. An epic, once-every-hundred-years kind of blizzard. Four feet of snow, blinding white-out conditions, man-eating wolves, etc, etc. 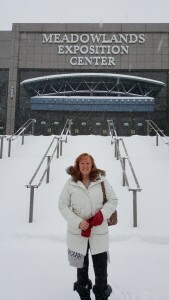 So there we were, snowed in at the hotels surrounding the Meadowlands Exposition Center, tired and starving. Hey, it’s a lot of work playing in the snow and the hotel hadn’t planned on having to feed all of us. So we went on foot in search of an open restaurant. (Yes, we ventured out despite the wolves.) 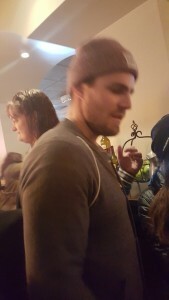 We happened upon a Carrabba’s and lo and behold, who should be inside but Stephen Amell of Arrow. Apparently, he and his cast and friends had gotten hungry too. Serendipity. 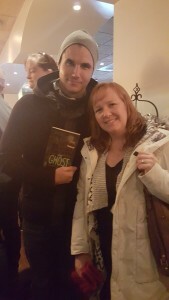 Just my luck I had a signed copy of my debut book, THE GHOST CHRONICLES, with me and I wanted to gift it to Stephen. Now, if you’ve never met him or watched Arrow on CW, put both on your bucket list this minute. I’ll wait. Good. So I went up to Stephen to chat (yes, he’s that nice and approachable) and give him my book. But he decided to do one better. He said let me sign it and you can keep it. Now, truth be told, I’ve met him before. And I have an item or two signed by Stephen and others from his Arrow cast. So, I decided right then and there to ask him if I could raffle it off for charity. Of course, it was a bit hectic in the restaurant and I probably babbled it, so I don’t remember if he gave me a straight answer or not, or if my question even came off the right way. 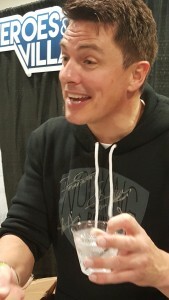 So when I saw him again at HVFF in July, I asked him again to be sure I had his blessing. 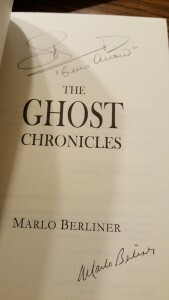 And being the gracious soul that he is, he agreed to let me raffle off the book to help benefit a charity, and I’ve picked his FCancer Campaign. Having had friends and family battle cancer, (and having had a few lose that battle) I think it’s a very worthy cause. So as much as I hate to part with the book (and I do hate to part with it, believe me) I figure giving the book away is a win-win for all. I will send the book to whoever wins, anywhere in the world. Yeah, I’m kinda nuts like that. The giveaway will run a little longer than Stephen’s campaign because I want to give people who ordered t-shirts and things earlier to find the giveaway and get their chance to win the signed book. All anyone needs to enter is their order ID# once they’ve ordered from the FCancer Campaign. Thanks for stopping by, don’t be a stranger. 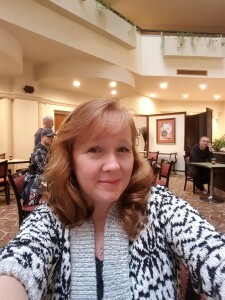 This entry was posted in Uncategorized and tagged FCancer, FuckCancer, giveaway, Stephen Amell, The Ghost Chronicles by marlo. Bookmark the permalink. That is so cool!! I love meeting celebs who are so down to earth. I would LOVE to win this, Thank You SO much for just offering it to someone!! !